The Crow’s Nests are luxury apartments atop the Pilgrim Sands on Long Beach in historic Plymouth. 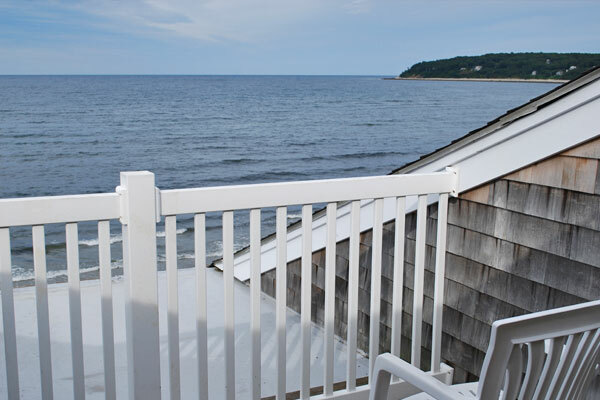 Each has panoramic views of the Eel River Basin, Warren Cove, and Cape Cod Bay. They come fully equipped for a spectacular vacation by the sea. They are available by advance reservation (3-Night Minimum, 2-Night Deposit), otherwise on an as-available basis. Because of their unique design, there is no need for air conditioning, and no pets are allowed. Each apartment sleeps four persons comfortably and is non-smoking.